Ah… the 3DS is such a wonderful device. Not only does it have incredible features that can put even several home consoles to shame, it also has one of the best pre-launch libraries ever. With biggies like Ocarina of Time, Resident Evil, Street Fighter, Pilotwings, Nintendogs + Cats and much, much more to grace its lineup, it has one of the best libraries ever- already. By the looks of it, all the remakes we have ever craved for, Ocarina of Time, Star Fox 64 and the like, are going to be there on the 3DS. Howeve, at the very same time, there are others, which we have been pleading for, begging and craving, for as long as our imaginations can stretch back, and still, we don’t see any sign of them resurfacing. Here is a list of the games we want remade on the 3DS. Of course, some of these remakes might never come to life, however, we can always hope! Anyway, without further ado, lets begin! Banjo Kazooie, one of N64’s best titles, showcasing Rareware’s quality with each minute of gameplay that was played. Originally being developed as Project Dream for the Super Nintendo, it ultimately found its way N64 as Banjo Kazooie, an iconic name that is remembered till this very day. I would love to see a Banjo Kazooie remake, not a re-release as we saw sometime ago on the Xbox Live, on the 3DS. If not for all the great things that can be done to the game with the prowess the 3DS possesses, then just for nostalgia. F-Zero is probably one of the most loved franchises out there. Featuring fast-paced, breathtaking races every time it is played, F-Zero X is probably one of the best games to have been released on the N64. Just imagine how awesome the game would look in full HD graphics, and the 3rd dimension would add a whole lot to the sense of speed of the game. Not just that, the 3DS’ library would automatically have been raised up a level in terms of quality. While it was criticized by many, and it sold really horribly, we would still like to see a remake of the game, so that it can live up to its full potential, and finally revive the F-Zero series. A Pokemon Ruby/Sapphire remake is but inevitable. 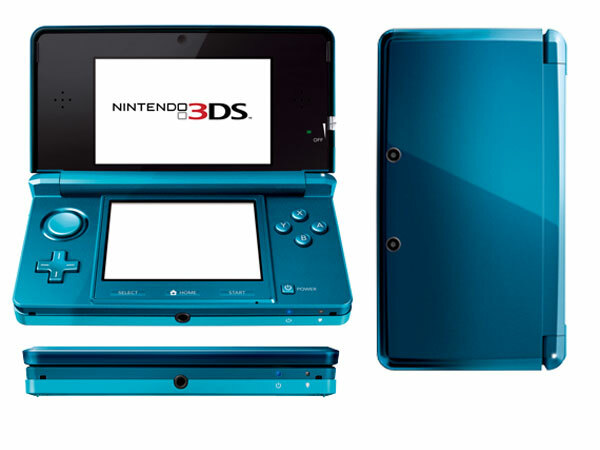 After the release of FireRed/LeafGreen and HeartGold/SoulSilver, a Ruby Sapphire remake for the next generation Nintendo handheld is a given. We know that Ruby and Sapphire are the most disappointing Pokemon games of all time. Completely failing to match up to the masterpieces that were Gold and Silver, Ruby and Sapphire also triggered the Pokemon series’ downward slide. But we would definitely like to see Pokemon Ruby and Sapphire reborn in the 3rd dimension, and see it actually living up to its full potential.